USA TODAY BESTSELLER • In this charming Oxford Novel, hailed by Keri Ford as “a sizzling-loud friends-to-lovers story,” Lauren Layne poses a provocative question: What do you do when you fall in love with your sister’s ex? Let me ask you... how would you feel if you were a young twenty-year-old and realized that you had the biggest crush in the world for your sister's groom? Yep, at the wedding, he makes an effort to bring you into the fold of the celebration while you awkwardly sit on a bench away from everyone? He is always supportive of you and cares for you. But you are hopelessly lost in this crush you have for him. How would you feel if your sister dumped him after several years of marriage for another man? And now, you both are in the same city, sharing an apartment temporarily, with all these hormones flowing? I hope you read this amazing book and enjoy it as much as I did. It is well written, full of passion, mature, classy, and most of all... INTELLIGENT! It also asks the question can you dreams change and will you recognize what is important in your life? Don't let happiness pass you by! 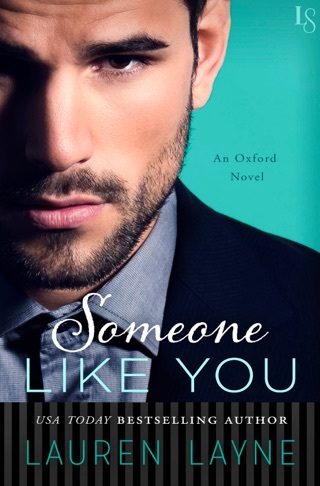 "I Wish You Were Mine" by Lauren Layne is book two in the Oxford series. This is the story of Jackson Burke and Mollie Carrington. Jackson was the quarterback for the Texas Redhawks, married to the love of his life, and life was great. Then he was in a car accident that ruined his football career and he is now single. Jackson is now working as a columnist for Oxford magazine, but very frustrated with his life. There is one person that has always been there for him and she is his ex-wife's younger sister. Mollie and Jackson have been friends for a long time. Their friendship lasted through his divorce to her sister Madison. Mollie has always loved Jackson but never acted on her feelings. Situations play into Mollie and Jackson spending a lot of time together. Will Jackson see Mollie as a woman and not his ex-wife's sister? Will Mollie act on her attraction to Jackson? There were times in the book that I got frustrated with Jackson and Mollie. Jackson still seems to be hung up on his ex-wife who is a nasty person. Nasty doesn't even describe how bad a person she is. Even though Madison treats Mollie horribly, she feels obligated to her since she practically raised her. I enjoyed Jackson and Madison's story. The intimate scenes were steamy too! The supporting characters were great. I want to go back and read the first book in this series. I received a copy of this book from NetGalley/Random House Publishing Group for an honest review. FYI, contains mature content.